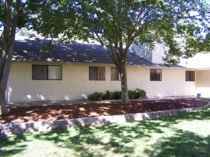 We found 2 results for memory care in Red Bluff, California. We have also included 4 results in surrounding areas. Dementia care costs in California range from around $48 to $435 daily, with a mean expense running around $181. The monthly cost averages about $5,437 and ranges between $1,431 and $13,050. Yearly, the average cost is about $65,250, which is above the nationwide average of $60,900. 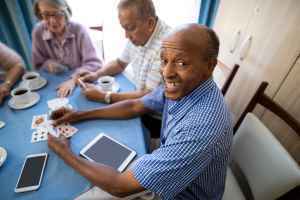 The cost of dementia care in Red Bluff typically ranges from $4,950 per month all the way up to $8,663 per month. The median cost is approximately $5,775 per month, or about $69,300 yearly. Located within Tehama County, Red Bluff is a small city in the State of California. While the encompassing metropolitan area has 20,301,672 residents, there are 28,764 residing in the city. About 30% of the population are 55 and over. Red Bluff has an average SeniorScore™ of 63. The city has a median per capita income of $22,000. The average household income is $37,000 vs an average of $52,000 for the state of California. The current unemployment rate is roughly 14.24% and the average housing price is $274,500, which is significantly less than the state average of $451,500. Red Bluff has ideal mean temperatures, with very mild winters and very temperate summers. The city receives ideal levels of rain annually. Compared to other American cities, Red Bluff has a very high rate of crime and very low air quality ratings. To see information on the SeniorScore™ for Red Bluff, CA, please visit senioradvice.com/seniorscore/senior-living-in-red-bluff-ca.